There’s plenty of events to keep all avid readers and aspiring writers busy and plenty more to come. I thought you’d be interested in these two for starters! Louise Phillips is the bestselling author of Red Ribbons and 2013 winner of Crime Novel of the Year for The Doll’s House. This free workshop will cover all aspects of crime writing including: plot, character, tension, effective dialogue and so much more. Click the poster for more information, including registration details. Admission: Free event but registration essential. Smock Alley are delighted to announce another event in their ongoing series of author talks with neighbours, the Gutter Bookshop. Join them to celebrate the launch of the twelfth Charlie Parker thriller, The Wolf in Winter. 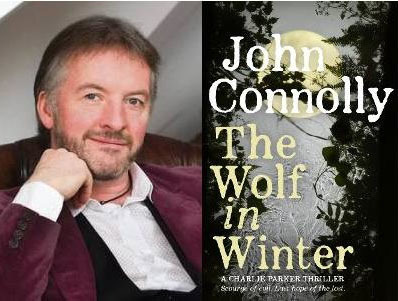 John Connolly will be joined by musicians Jonny Kearney and Lucy Farrell in what promises to be a unique and thrilling evening. There will be a book signing after the event in The Gutter Bookshop.